Alexandria City Council voted on Wednesday to approve a pilot program that would provide additional free trolley service to Rosemont, Del Ray and Arlandria. According to a press release, the program is expected to begin in the fall of 2012 after a contractor is selected, and will operate on Thursdays and Fridays from 3 p.m. to 10:30 p.m., and on Saturdays and Sundays from 11:30 a.m. to 10:30 p.m. Starting at the King Street Metro station, the trolley will provide service along Commonwealth Avenue and East Braddock Road to the Braddock Road Metro station, before heading north on Mt. Vernon Avenue and looping back. The route was developed with cooperation between city agencies and community input. The council vote to approve the project was unanimous. 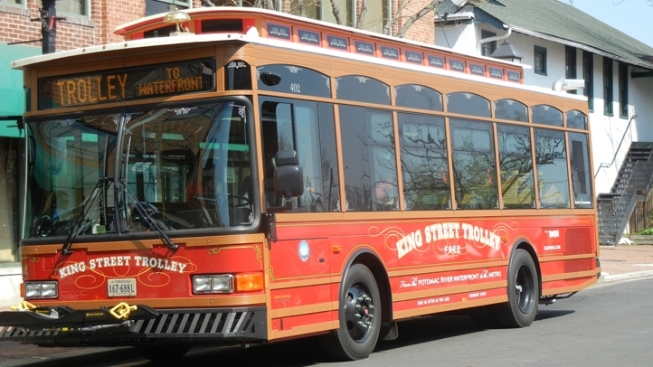 The release states that the city council designated trolley system expansion a priority last year due to high ridership -- the existing King Street Trolley, launched in April 2008, provides free transportation for 2.2 million passengers. The project will be funded using the Transportation Improvement Program, which dedicates 2.2 cents of real estate property tax to transportation. Alexandria is also considering other options to combat congestion and improve transportation. The city announced a study on June 7 analyzing the feasibility of dedicated corridor transit service at North-South, Duke Street and Van Dorn/Beauregard. According to a report by the Washington Post, the city is actively working with Arlington County to fund a streetcar line between Potomac Yards and Pentagon City.